Expectation of an interest rate hike in the US, strengthening crude oil prices and weakening of rupee value dented investor sentiments -- leading to a barometer index trading 524 points down during the late-afternoon session on Friday. 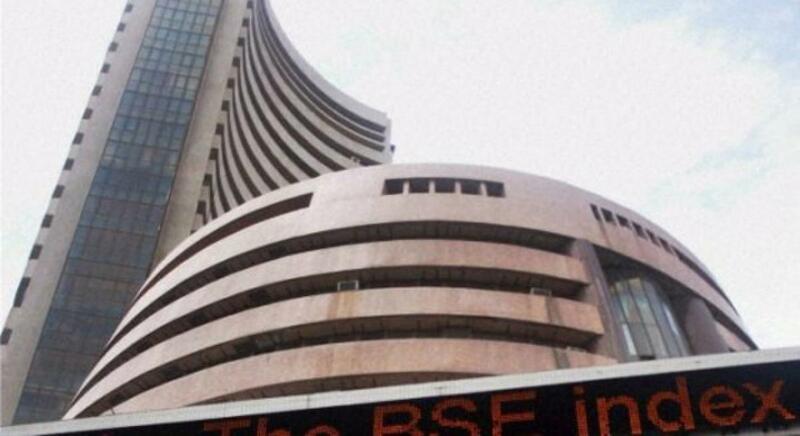 The barometer 30-scrip sensitive index (Sensex) of the Bombay Stock Exchange (BSE) plunged by 524.38 points or 2.04 percent (at 3.00 p.m.). Bearish sentiments were also witnessed at the wider 50-scrip Nifty of the National Stock Exchange (NSE). It was trading 160 points or 2.04 percent down at 7,663.20 points. The S&P BSE Sensex, which opened at 25,772.58 points, was trading at 25,240.40 points during the late-afternoon session -- down 524.38 points or 2.04 percent from the previous day's close at 25,764.78 points. The Sensex touched a high of 25,775.38 points and a low of 25,119.06 points in the trade so far. Analysts cited the upcoming US non-farm payroll data as the main trigger for the downward trajectory of the markets. The markets are nervous due to the fact that a strong macro data can influence the US Fed's rate decision expected on September 16-17. "The investors are anxious about the release of non-farm payroll data. This data just before the US Fed meet can make or break the case for a rate hike there. On a sequential basis this data has been coming in quite strong," Anand James, co-head, technical research, Geojit BNP Paribas, told IANS. According to the US Bureau of Labor Statistics, the total non-farm payroll employment increased by 215,000 in July -- however, the unemployment rate remained at 5.3 percent. The US Fed is expected to announce its decision to hike interest rates after a decade or so of easy monetary regime with interest rates pegged at near zero levels during its policy meet scheduled on September 16-17. James said the other worry for the investors and the government alike is the gradual rise in the crude oil prices, especially at the time of a weaker rupee. "The steep rise of around $10 per barrel in 2-3 day's time is a cause of worry. Especially given the fact that the rupee is falling," James added. On Thursday, the West Texas Intermediate (WTI) closed at $46.75 a barrel, while Brent crude settled at $50.68 a barrel. Both the indices were around $42-45 per barrel a week ago. The rupee during the intra-day trade weakened by 24 paisa at Rs.66.48 (2.30 p.m.) to a US dollar from its previous close of Rs.66.24. Sector-wise, all the 12 sub-indices of the BSE were trading in the red. Intense selling was observed in banking, healthcare, automobile, capital goods and information technology (IT) stocks. The S&P BSE banking index plunged by 490.96 points, healthcare index receded by 412.83 points, automobile index declined by 412.76 points, capital goods index lost 278.75 points and IT index dropped by 246.68 points.